SPORT Organic Plant-Based Recovery at Bodybuilding.com - Best Prices on SPORT Organic Plant-Based Post-Workout Recovery! Nutritional supplements and/or ingredients are void of banned substances by the world class sports anti-doping lab, LGC. 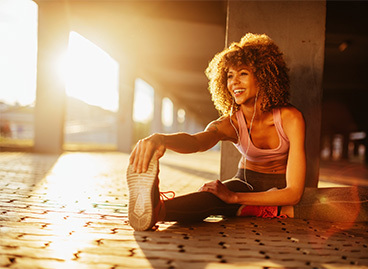 Muscle repair is critical after your workout and Organic Plant-Based Recovery provides the clean nutrients necessary to recover after exertion. * Being Certified USDA Organic and Non-GMO Project Verified, as well as NSF Certified for Sport and Informed-Choice for Sport Certified, Organic Plant-Based Recovery is the cleanest post-workout formula available ensuring the product is free of any banned athletic substances. 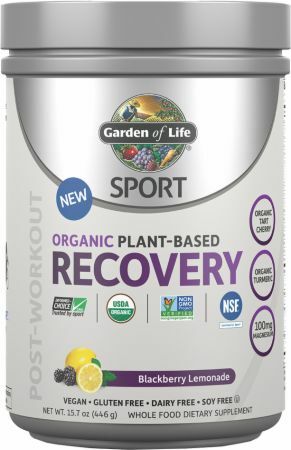 No Sport Organic Plant-Based Recovery Reviews Found. º Percent Daily Values are based on a 2,000 calorie diet. Organic lemonade flavor, Organic blackberry flavor, non-GMO citric acid. Contains No soy, dairy, tree nuts, filler ingredients, nor artificial colors, flavors, sweeteners or preservatives. 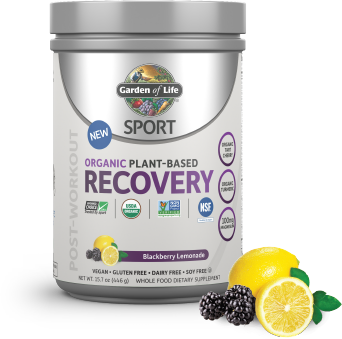 Directions For Sport Organic Plant-Based Recovery: Mix 1 level scoop in 8 oz of cold water immediately after workout (scoop included). Warnings: As with any dietary supplement, consult your healthcare practitioner before using this product, especially if you are pregnant, nursing, anticipate surgery, take medication on a regular basis or are otherwise under medical supervision. Keep out of reach of children. Store in a cool, dry place. Do not use if safety seal is broken or missing. Packaged by weight not volume. Se ling may occur.